Chelsea have hit somewhat of a slump in recent weeks. Many people have been quick to blame manager Andre Villas-Boas and his "high line" tactic which have left Chelsea a lot more exposed at the back than before. While I agree with this, I think one of the main issues is Chelsea's lack of young talent in and around the first team. Josh McEachran, the 18 year old central midfielder has been spoke about by numerous experts as an exciting talent yet Villas-Boas has barely played him. Currently, Chelsea's midfield is looking unstable. The trio of Mikel, Ramires and Lampard struggled against Liverpool last week while Raul Meireles offers not a great deal more. McEachran's energy, clever passing and fighting spirit could freshen up Chelsea's midfield. Jack Wilshere, who McEachran has been often compared to, was the same age as McEachran is now when he first began to cement his place in the Arsenal team, so the talk about him not being old enough is ridiculous in my opinion. I'm not saying McEachran should play every week, but a place on the bench or even a starting appearance every now and then wouldn't go a miss. Other than McEachran, there are few academy stars who are being spoken about. While the likes of Arsenal have the likes of Aaron Ramsey and Kieran Gibbs and Manchester United have Danny Welbeck and Fabio hanging around the first team Chelsea don't have many youngsters of note. Chelsea need to stop sending some players on loan at the age of 20, like they've done with Jeffrey Bruma and start sending them out at around 17. I was delighted when Chelsea completed the signing of Romelu Lukaku in the summer. His magnificent scoring record during his time with Anderlecht, as well as his age made me think we'd signed a real star. Although people think he's got a great potential, the 18 year old has had hardly any playing time! His omission from Chelsea's Champions League squad was a baffling choice considering all the talk about him beforehand. It could be argued that Chelsea don't need youngsters from the academy as they can just buy them from abroad. However, with financial fair play coming into effect in the coming years, Chelsea can't just buy who and when they want anymore. John Terry, Frank Lampard and Ashley Cole are all players who Chelsea rely on and they only have a couple of years left of being at the top of their game. To conclude, I believe Andre Villas-Boas must start playing his youngsters sooner rather than later if he wants to change the opinion that Chelsea have two many players on the wrong side of forty. The potential is there, Josh McEachran, Ryan Bertrand, Jeffrey Bruma and Romelu Lukaku are all players who I feel can become some of Chelsea's best in the coming years. However, if Villas-Boas keeps ignoring these players they may leave and never realize their full potential. The FIFA football (soccer if you're of an American predisposition!) game series has been running for 18 years, and with the 2012 edition storming the games charts its showing no signs of slowing down. Far from those early versions with their linear gameplay and clunky 2D graphics todays FIFA games are fully submersive and there's a huge number of ways to actually play the game. Whether you want to simply play a match alone or with friends or you want to build a prefect team – it is all possible! Even alone, there are many things to do in FIFA. Of course, you can simply start playing a regular match. But you can do far more than that. You can play around with the tactics of your favourite team, put Messi and Cristiano Ronaldo together in an Arsenal dream squad or just fine-tune the offside trap or the defence of any of the hundreds of teams in FIFA. On the pitch itself, there are many options as well: You can play any match as any player, with the camera focused on you. FIFA 11 even gave you the option to be a goalkeeper for the first time. The massive career mode can be played as a pro as well – you start with a mediocre player and turn him into a superstar within a couple of seasons. Alternatively, if you think you know how to coach a team, you can become a team manager and prove you can win all trophies. In FIFA 12, the relationships of managers with the team and media will get an overhaul so your abilities will be scrutinised! If you want a unique experience, just get yourself an Ultimate Team. You can build yourself a great team from scratch by acquiring new packs of cards – either with in-game money or with real money (at least on the Xbox 360). You earn in-game money by winning matches or buying players cheap and selling them for a much higher price. Do you think you can have the best Ultimate Team? Playing alone is an experience, but sitting with friends and annoy them with nice tricks, furious dribbling and stunning goals beats it, doesn't it? Besides random matches, you and your friends can compete in tournaments to see who truly is the best! Of course, if you prefer to beat your friends online (it is more convenient), FIFA gives you the option to do so. Either you compete in one on one matches or you try a massive 11 vs 11 turmoil. A piece of advice: If you play 11 vs 11, you control one player who should be bound to his position. At least in theory. But usually, those matches rather resemble rugby matches since everyone just goes for the ball (and scores like 11-7 are quite common) so don't expect any strategy to play a big role in those matches. However, if you're lucky to play in an organised squad for a change, enjoy the trashing of your opponents (sadly, those matches tend to end early because of too many red cards)! FIFA also gives you the opportunity to upload your best goals or just some crazy moments like balls bouncing from bar to posts. If you take a look at the official FIFA site, you'll witness some great stuff. John wrote this post for HMV.com where the latest FIFA 12 game and Assassins Creed revelations can be brought online with free delivery. Manchester United will give Wayne Rooney every chance to prove his fitness for the Premier League visit to Old Trafford of Newcastle United on Saturday. The England striker sustained a hip injury in the 1-0 win against top-flight newcomers Swansea in Wales last weekend and missed the 2-2 Champions League draw against Benfica at home on Tuesday. The 26-year-old, who has scored nine goals in all competitions so far this season, now faces a race against time to get himself fit the game against Alan Pardew's side. Those following the football betting odds will be keeping a close eye on his fitness. Asked about his condition, United manager Sir Alex Ferguson said: "He wasn't fit (for the Benfica game), so we need to wait to see what he is like over the next few days." He added: "We will give him every chance, of course - we did for this, but he wasn't really fit, so we'll just have to wait." The champions have not lost in the Premier League since the 6-1 hammering by local rivals Manchester City, winning three games without conceding, whereas Newcastle lost their unbeaten run in the top tier last Saturday when they were beaten by Roberto Mancini's men. The Premier League odds suggest the home side will be on for another win. United now appear to be playing for second place to qualify from the Champions League group stages off the back of Tuesday's draw against the Portuguese club, meaning a potentially tough draw against one of the bigger seeds if they go through. Benfica - whose qualification is now confirmed - lead the group and face a home fixture against Romanian minnows Otelul Galati in the final round of games. Ferguson said: "It makes it a bit harder of course, but if you look at it in a different way - maybe the bigger game will suit us anyway." He added: "You have to judge that in this way - if you played them in the semi-final or the final, you would be only be too delighted, knowing the possibility there is to win." There are contrasting views on England's National Team nowadays, apparently the hay-day is past with, as Rio Ferdinand, John Terry, Frank Lampard and Scott Parker amongst others get no younger. However, aren't those who take this view overlooking such unprecedented young, prodigious talent on the doorstep of England's domestic clubs? The ascent of many players including Phil Jones and Chris Smalling - who both appeared to be ridiculous purchases initially have risen to give Rio Ferdinand a run for his money in the Manchester United first team - has been unstoppable, both, Jones - a £16.5 million buy from Blackburn - and Smalling - a £10 million purchase from Fulham- have appeared for England's first team on their impressive climb to the top of Britain's domestic scene. When the figures were found out publicly through the media, there were question marks that hovered above the players, being so young with such a hefty price tag and the failure of Sir Alex's previous young buy, Bebe. Particularly with Jones, as Blackburn's owners kept raising the sum until a price was agreed, but Sir Alex Ferguson's eye for a player was proved right once again and both have progressed to become two of the best young players in the Premier League, keeping some of the Premier Leagues finest attackers quiet, along with Europe's Elite on their way. These two, along with others including; Danny Welbeck, Daniel Sturridge, Jack Wilshere, Tom Cleverley - all of whom had been on loan the previous season have risen to become regular starters with impressive performances that, in some cases, have ended up in foreign superstars like Fernando Torres having to make do with the bench. Another young star is Micah Richards, the bold, physically imposing Manchester City right back is having an impressive season so far and Fabio Capello only knows why he has not been picked for the recent Euro Qualifiers and friendlies. Holding a starting position in a City side packed to the rafters with pricey talent whilst pumping out consistently high level performances is no mean feat. Capello admitted he picks players based on their form, and so, along with Smalling - considered mainly a right-back, Jones - a flexible defender, who plays at right back for United, and Richards, Kyle Walker of Tottenham has also had a season to remember in which he has staked a great claim to be considered for England's 23 man squad for the Euro 2012. There has not been such a great wealth of choice for a position in England for quite a sustained period of time than now, with the considerable amount of young talent on offer for the right back position. It is reminiscent of Spain's goalkeeping choice; Iker Casillas, Victor Valdes and Pepe Reina - if only a formation allowed three goalkeepers! Any of those three 'keepers could waltz into any national team, but the fact that Casillas is the "Golden Man" of Spanish football with a record equaling 125 caps at the age of 30 leaves Valdes and Reina in the shade. The difficult thing for Capello is that all four of these players offer the same options. They all enjoy pushing forward on the overlap to offer support and attack. 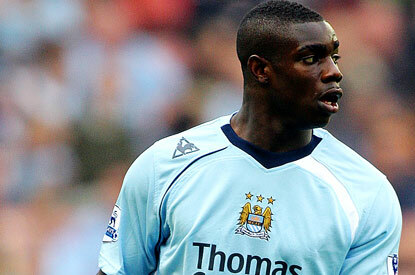 Micah Richards proved his abilities in the recent 3-1 win over Newcastle, many a time he was in front of James Milner at right midfield and managed to find himself a goal in the midst. Walker has also been impressive in this style of play and has been influential in Tottenham's climb up the league to third through both solid attacking and defending roles. "Fabio Capello should realise that with these four assets at his disposal, he should utilise them to give an ultimate farewell." This is the style of right back England have been needing for a while now, and for three right backs and one who can play in that position easily, to come along at the same time is typical luck for a nation who seem to find the World stage, a stumbling block, like at the 2010 World Cup. Yet, perhaps this is what they need, a group of youths, experienced at the highest domestic level. It is a risk, that is granted, but perhaps they will carry a bit of "No fear" mentality that has been lost in recent years. The willingness to attack and be more free in their play like the Germans, with their wealth of youths like Mats Hummels, Mario Gotze, Marco Reus - the list could go on. The risk could pay off, as it has for Germany! With Jones, Smalling, Richards and Walker, the pace and attacking flare is guaranteed. As the motto goes; "The best form of defence is attack." England need to lose the reservations they may have and Capello should realise that with these four assets at his disposal, he should utilise them to give an ultimate farewell. But can they all play together? The relief for Capello is that most of the foursome are flexible, Smalling is a capable Centre-back, just as Phil Jones is a capable Defensive Midfielder - shown in his "brilliant" performance in the 1-0 friendly win over Spain. That leaves, presumably, Richards and Walker to fight it out for the Right back spot. It is important to remember to get the balance right in the defensive department. An experienced head above young shoulders can do no wrong. Personally, there is a back six (in the 4-2-3-1) that I would like to see played by England that would include three of the four in improvised positions. Richards(RB), Smalling (CB), Terry (CB), Gibbs (LB) then in front of the back four; Jones (DM) and Parker (DM). It is early doors though; injuries may occur, form may alternate, dip and peak but Capello can rest at ease with deep satisfaction in the knowledge that there is a fresh line of talent for his successor to choose from, but also for him to judge and use to his advantage as he takes his final bow for England in the dugout. Andre Villas-Boas has come under huge pressure at Stamford Bridge in recent days. Two home losses in a row for the first time in nine years, and a very complicated situation in the CL group mean his days may be counted at Chelsea. With the vacancy beckoning, here is a list of five possible replacements. Altough he didn't do well in his last job at Inter, but Rafa is still a world class manager. He is currently jobless, and would jump at the opportunity to return to managment at a strong club like Chelsea. If anyone would benefit from this appointment, it is Fernando Torres, as Rafa knows how to get the best out of him. Jobless after resigning from Aston Villa in the summer of 2010. Did well in every club he was managing. Altough many don't like his playing style, and some players don't like him man-managment, he is a real wondermaker. The proof of that is the situation Aston Villa were in when he left. Considering his qualities, he definitely deserves to get a chance at the top. The only problem is, would he get along with Abramovic? Another jobless manager. Did a fantastic job at Barcelona, but failed at Galatasaray. He would probably relish the chance to work at one of England's top clubs. His playing style would probably require some changes in the Chelsea team, but he is a manager capable of rebuilding the existing Chelsea squad. Well, surprise surprise! I guess nobody expected Pellegrini to even be on the list, especially not on second place. Altough Chelsea fans would probably want a more sounding name, the truth is Pellegrini is probably a better manager than any of the three before him. He turned Villareal from a mediocre team to top four contestants, but was later harshly sacked by Real Madrid. Altough some might say he was a failure at Real, the statistics prove that he did better in the league than Mourinho did last season. Currently at high-flying Malaga, but would probably accept an offer from Chelsea. He was linked with the vacant Liverpool post in 2010, and the Chelsea post in 2011. Well, it´s no surprise that Hiddink is on the first place on the list. Currently unemployed after being sacked as Turkey boss, the formar Chelsea manager is the fans and bookies favourite to return to Chelsea. He did well in his first spell at Stamford Bridge, but could he deliver the same magic again? Just a note: this article is my personal opinion, and not the real situation. Who knows, maybe Chelsea won't sack AVB, or maybe they will appoint Roy Hodgson to "steady the ship"? Only time will tell.